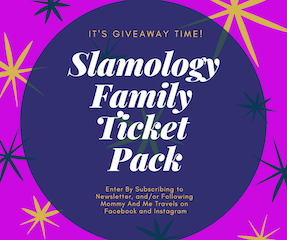 Subscribe to our newsletter to get an entry into our Slamology Family 4 Pack Giveaway. We value our followers and will not spam you or share your information. By entering you agree to receive exciting updates from Mommy And Me Travels.